We created this guide with Real Estate agents in mind, but the steps work just as well for anyone who is looking to create a virtual tour! Once you sign into SeekBeak, you can add new photos (called Snaps) by clicking the “plus” button in the right corner of the screen. 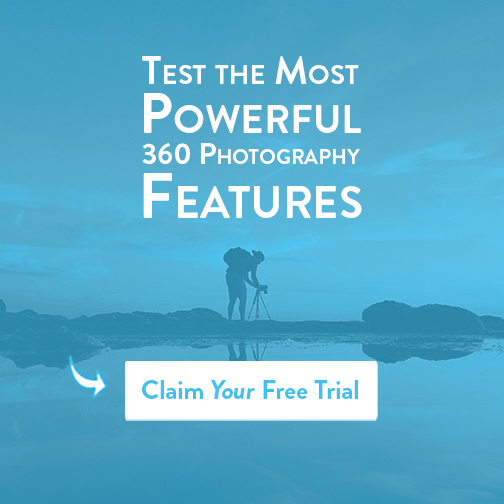 From here, you’ll be given the option to upload a single photo or multiple photos. Here’s what it looks like when you upload multiple images. In this case we dragged 5 photos of the house we want to display into SeekBeak. You can see we have the option to name and describe each photo, which is very useful for letting viewers know a bit about the rooms they’re looking at. 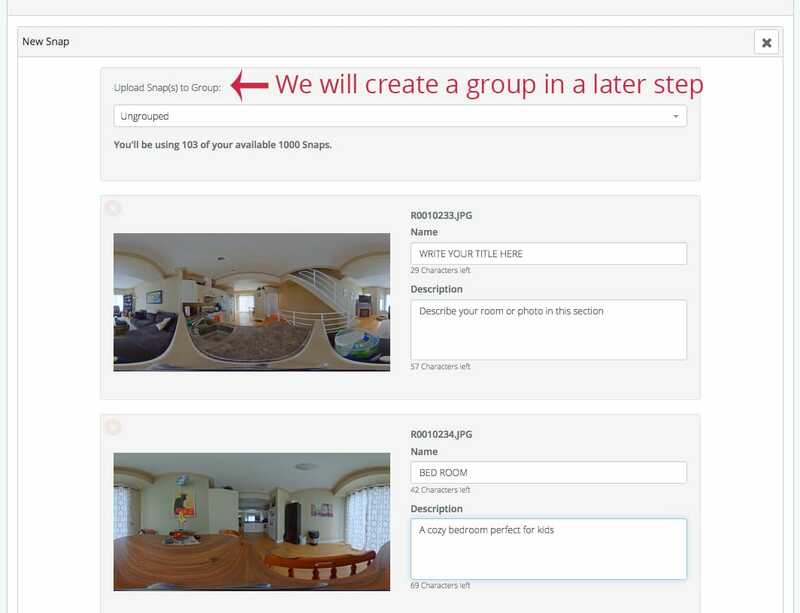 Once you’re finished writing your room titles and descriptions, click upload and SeekBeak will load your images into our hosting platform. Click a Snap and you’ll enter the viewer mode of SeekBeak. In the bottom navigation bar, click Edit to enter edit mode, and start adding hotspots. Add a hotspot wherever you’d like. In the hotspot menu look for the “Type” icon. You’re going to turn this hotspot into a link to another Snap. After you’ve selected the Snap, close the editor and save your changes using the bottom menu. 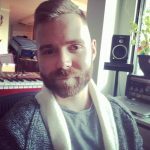 Your photos are now linked together! Step 3 – Edit the Text, Icon, Colour, and More! One of SeekBeak’s unique features is customizing each hotspot! You can customize icons, text, colours, animation, and more. To change the icon, click this button and you’ll be able to choose from a wide variety of in-built icons. If you’d like to upload your own icons, you can do that by selecting Icons from the top left drop down menu in the Dashboard. 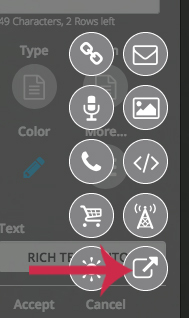 To change the colour of the icon, click this option. You’ll be able to change the text, icon, and background to suit your style. We recommend you experiment with many options to find out what you like the most! While you don’t need to organize your Snaps by group, it’s a handy feature for keeping track of each address or location that you’re making a tour out of! Remember, groups are mainly just for organization, you’re able to link any Snap from any group for a tour. 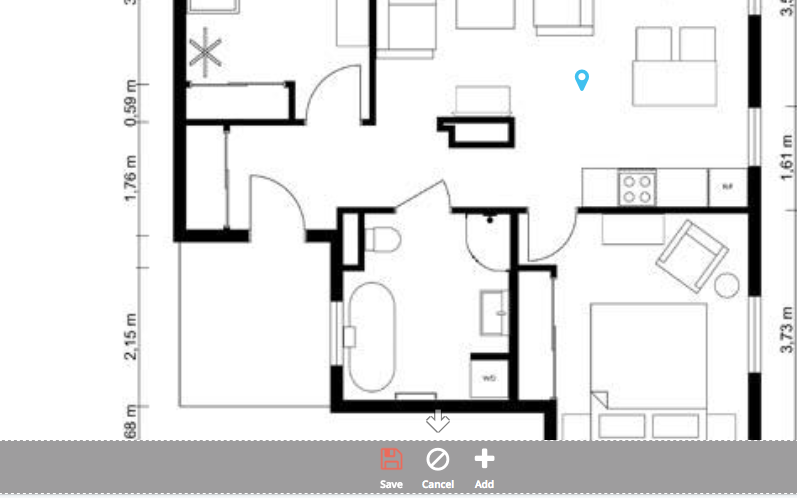 Did you know you can add floor plans, or other 2d images to help people navigate through your tour? We call them Maps and they are easy to add to your tours. 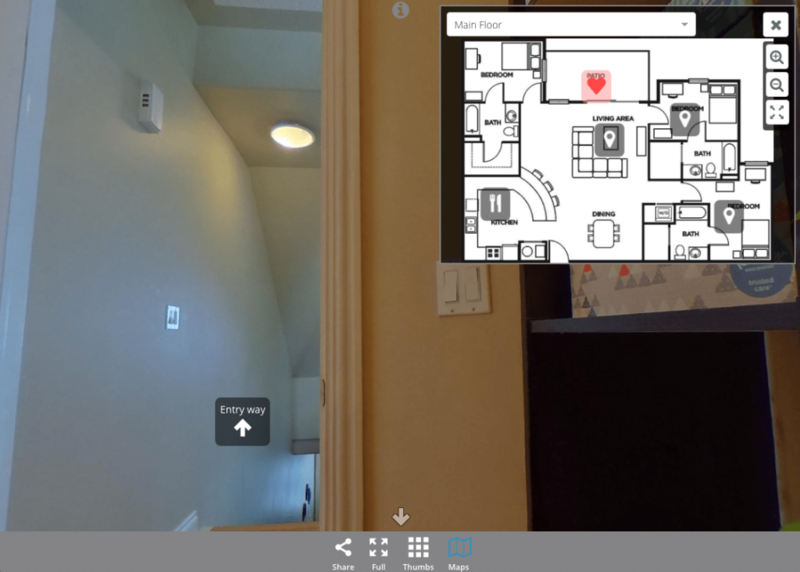 Viewers can use it to help understand where they are in the house or how the layout between floors changes. 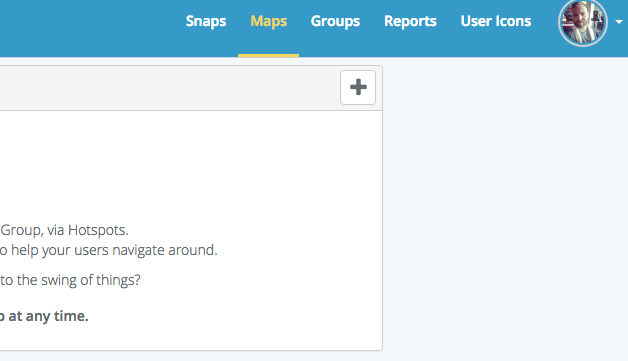 To add a Map to a Group of Snaps, select the Map option in the top left drop-down in the Dashboard. From here, you can upload a Map just like you would a photo. This Map will now automatically appear in the menu options for all Snaps in the Group. You can even taking things further by adding in hotspots to the map itself so that users can jump around the house using the map, rather than the hotspots. Don’t forget that you can add multiple maps to cover different floors, locations etc. Your viewers will be able to select the different Maps while viewing your Snap. Andrew I want to know more about how you host on a white label version? For example, our clients may already have a custom URL or we may want to create one?